Car Rentals can now be arranged with Tamuning Plaza Hotel! For the convenience of our guests, you can pick up and drop off your rental car at the hotel's Front Desk! All our rental cars are air-conditioned and are equipped with automatic transmission for your comfort and convenience. As with other car rental companies on-island, there is NO MILEAGE charge, so you can drive around the island at your convenience! 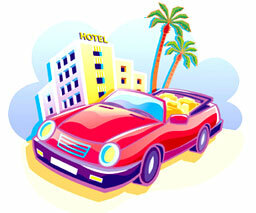 Car Rental Rates and Insurance Rates subject to change without notice. Please confirm rates before making reservation.